Modern web world is the best spot for business owners. Especially, when your business is about cars. The thing is that all of the car users need this or that services or products to improve or to repair their vehicles. And guess what, the first place they are looking for these services is the Internet. Therefore, every entrepreneur trying to get their business online. In fact, there are a lot of ways on how to give your business an online life. However, here we will talk about the most comfortable, user-friendly, an easy-to-use method. We are about the ready-made website templates. 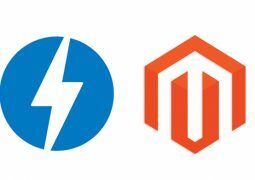 Among all the CMS platforms we would like to highlight WordPress. To be honest, top themes for WordPress provide you with a rich choice of modern features. There are tons of various plugins, widgets, and other tools at your disposal. Additionally, you don’t need to be a programmer to carry the theme. Everything is drag & drop and intuitive. Thus, it will take you no effort to create one-of-a-kind site with an advanced functionality. 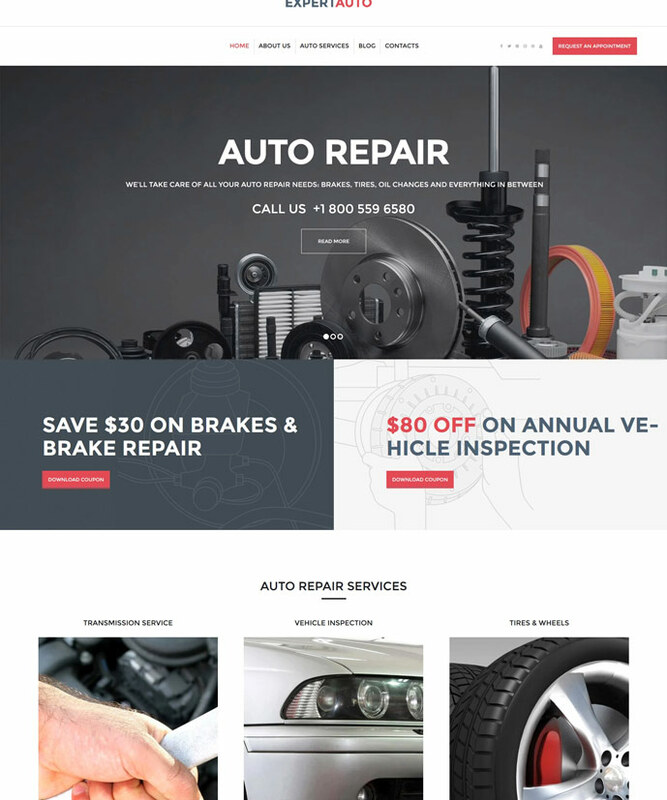 Whether you want to launch a driver blog, to spice up your car tuning services, or to create an auto parts online store, these automotive WordPress themes is the best case for you. The themes we have prepared for you are the best on the market to stand out with your vehicle-related business. Using them you can easily promote your biz, enrich the audience, and increase the income in times. 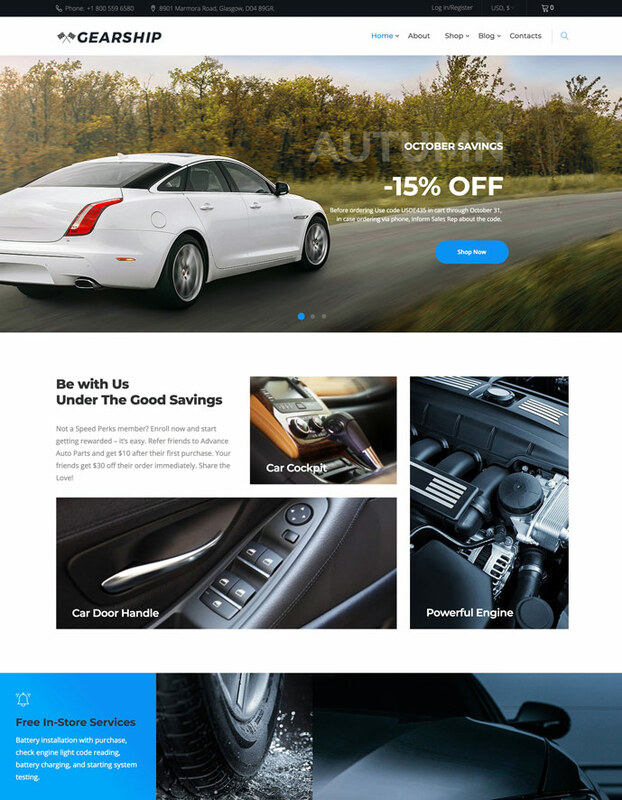 So, it is the right time to take a closer look at this showcase of top 15 WordPress theme for auto lovers. Let’s check them! 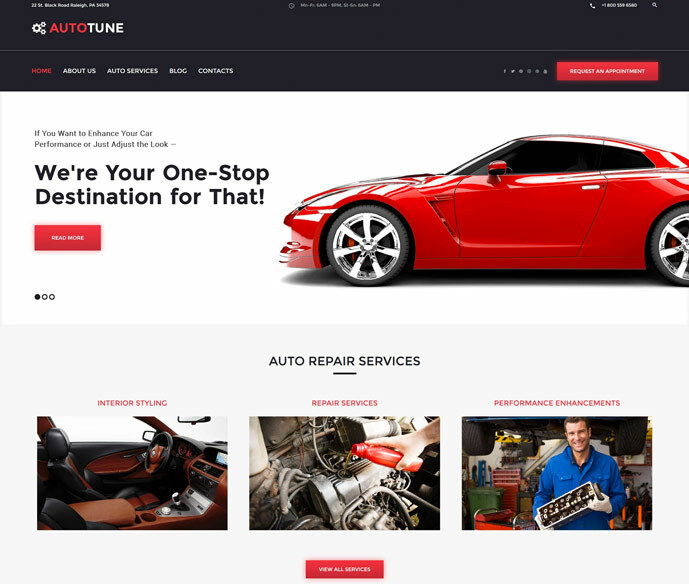 Need the best template to showcase your auto repair services? Check this WordPress theme that will make your dreams come true right away. 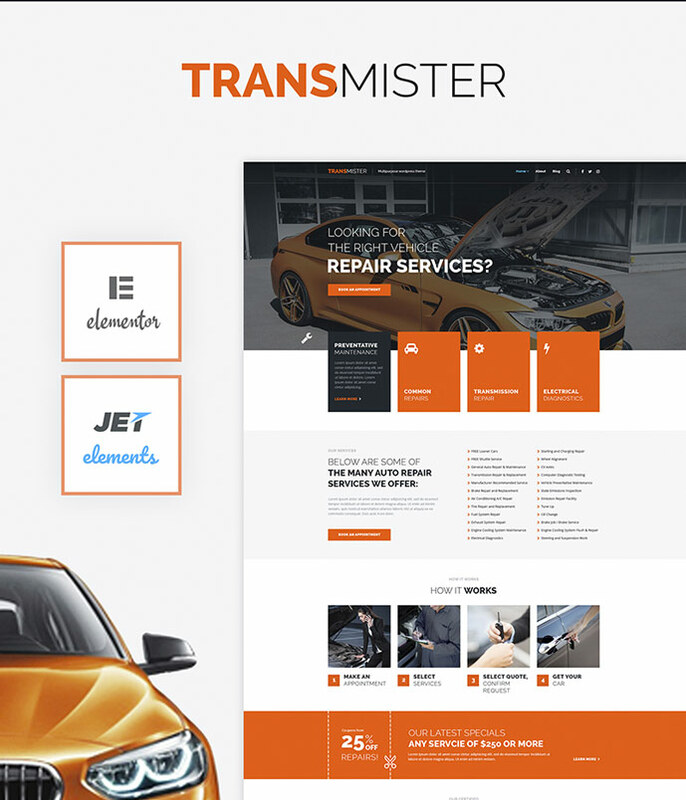 The transmitter is a great WordPress theme that was created just for an auto niche. It has an elegant design that allows you to emphasize the uniqueness of your services and content as well. Furthermore, the theme is pre-loaded with a number of ready-to-use pages for every purpose. By the way, here you also have a blog, which allows you to communicate with the audience. To say more, this theme has an intuitive interface, so, it is just a pleasure to handle it. Using Transmitter you can easily spice up your business in just a few clicks. 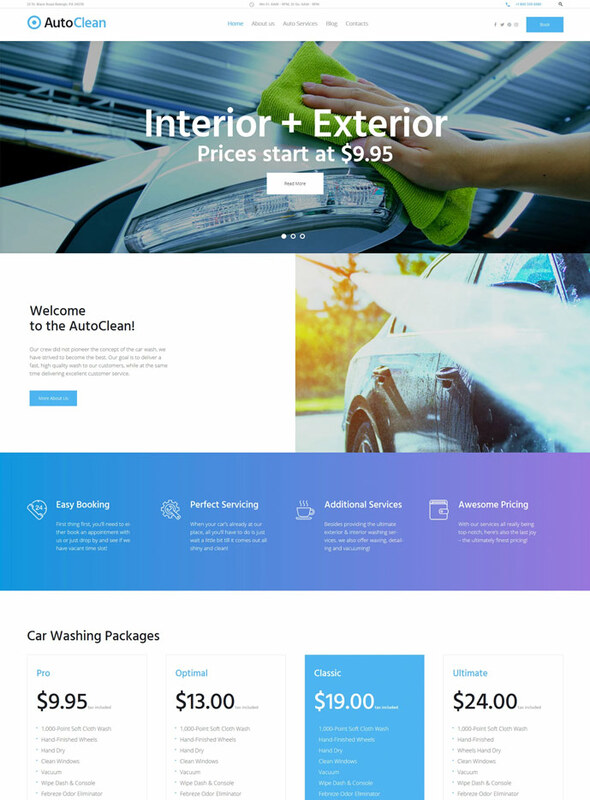 Exper Auto is a stylish and cocky WordPress theme that will be a perfect solution to improve your car-related business. Here you have a great choice of various headers & footers, which will help you to emphasize the content. In addition, there are a lot of ready-made page for all occasions. First of all, it means that the customization process will take you a few hours. And, secondly, you can add more information about your company, services, and products. You can easily highlight the most popular services or the best projects in an elegant gallery. By the way, the theme is socially integrated, so, clients can help you to spread a word about your car repair services. We recommend you to check this WordPress theme in a demo mode to try all the features. 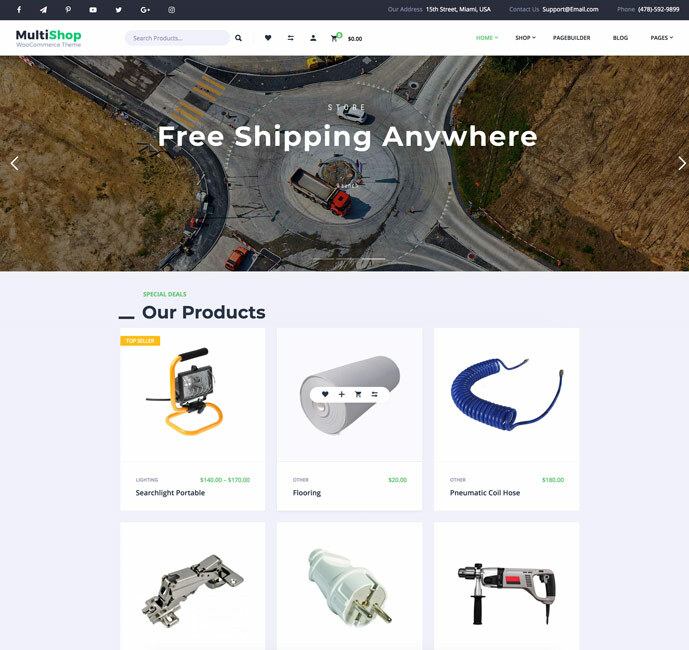 GearShip is a fully-loaded WordPress theme with a number of tools to spice up your auto parts online store. First of all, the theme comes with a Jet Elements plugin. It will help you to enrich site with an additional functionality. Right on the home page, there is a stylish website slider that allows you to highlight the top products or services. It will help you to improve the profit and to create a stylish look of the website. While the editing process, you will feel no discomfort thanks to an Elementor – powerful Page builder. It allows you to edit and manage the site easy, fast, and painless. Thus, you can change almost any part of the site by means of a few clicks. In fact, there are a lot of useful plugins, widgets, and other tools that will help you to create a unique site. Searching for a high-quality theme that will help you to represent your car rental company from the best side? 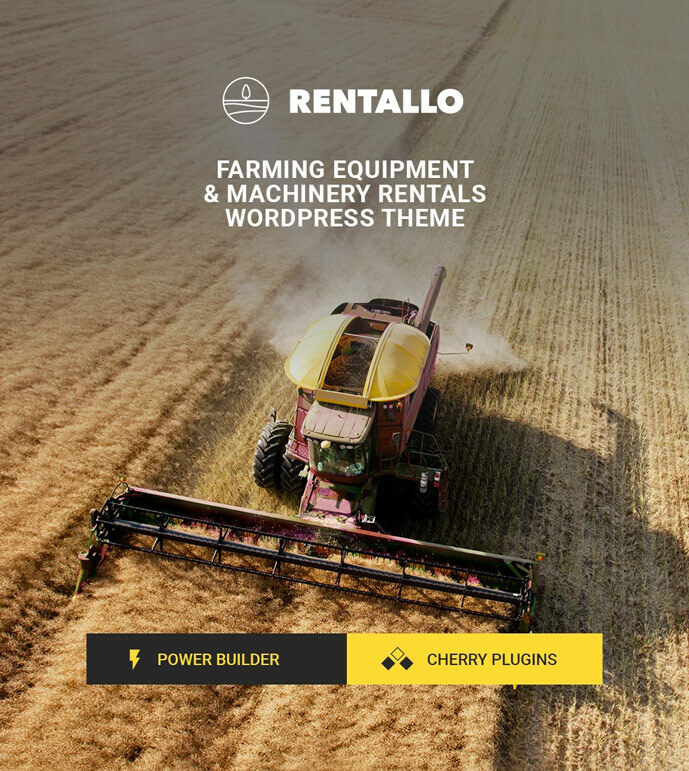 Take a look at this powerful WordPress theme that will definitely meet your expectations. 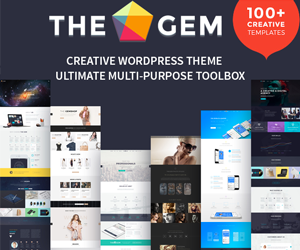 The theme is built with a modern drag & drop builder. So, you can take advantage of more than 25 modules, drag & drop system, and the whole library of presets. Whatever heavy machinery you have, it will take you no effort to highlight it. Thanks to a website slider clients can oversee the most catchy offers and top services. To say more, there are a lot of versatile Cherry plugins, which allows you to make your site more user-friendly, comfy in use, and useful. In addition, this marvelous WordPress theme also comes with an Ecwid Ready nature. This feature allows you to add an online store and to install it within 5 minutes. Oh, almost forgot, this option is absolutely free! 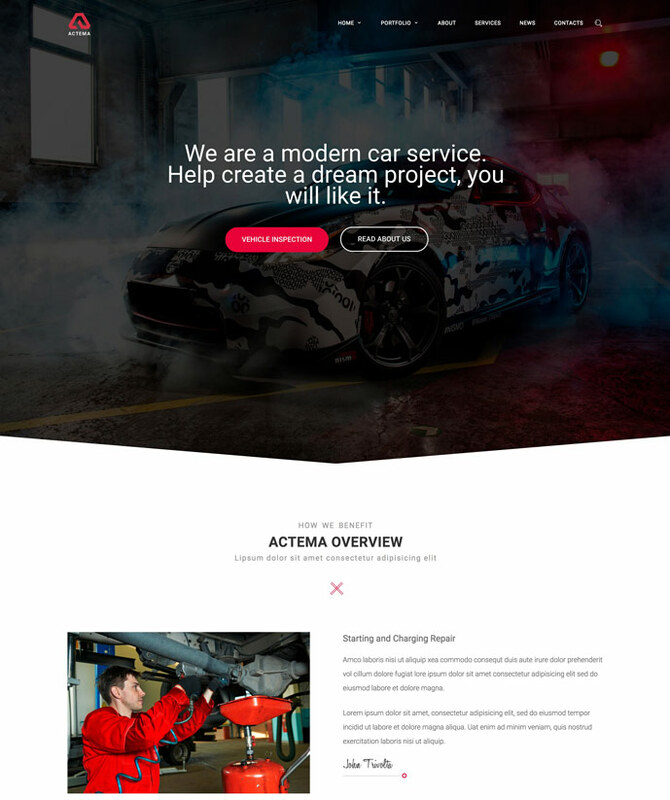 Actema is a flexible business multipurpose WordPress theme that fits almost any type of business. Whatever you biz is there is a functionality that will meet your expectations. Moreover, this theme built with Bootstrap, so, you’ll get an advanced functionality right from the box. And at the same time, it is easy to install the theme in just a few clicks. Moreover, there is a great documentation that comes along with the theme. Thus, it will be much easier to get to know it. By the way, a theme also comes with a Landing Page builder. Therefore, feel free to create a catchy landing that converts! It will give you a boost of potential customers, and, as a result, will increase your income. 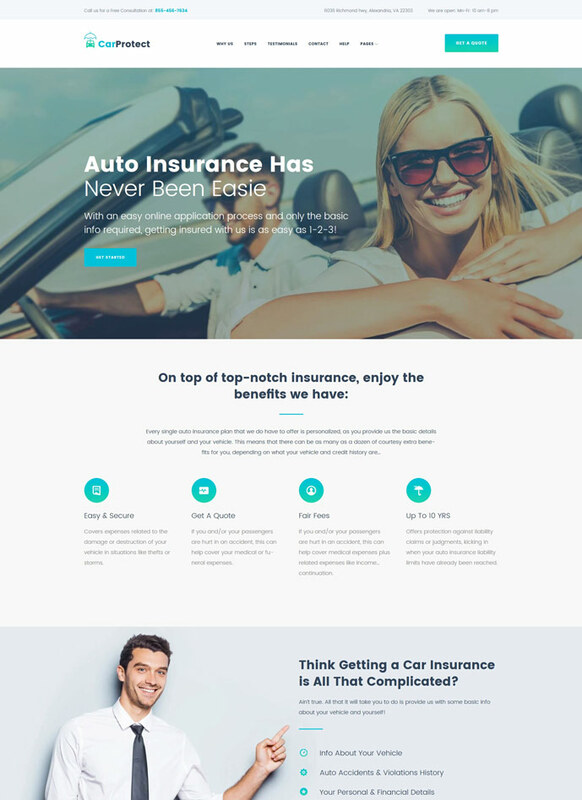 Car Protect is a WordPress theme that allows you to stand out with your car insurance-related business. Clients will be able to find your site using any known web browser because of its cross-browser compatibility. Also, the theme comes with a search engine optimization, which will give you higher SEO ranks. As for the design of the theme, it is clean and not overloaded with unwanted effects or functionality. Moreover, this theme was designed by top industry leaders. Thus, customers will enjoy a good-looking website with a sleek design. The most important is that this theme is licensed under a GPL. It will give you an opportunity to create an unlimited number of sites with this single theme. To say more, there is no need to pay extra, so, it is pretty profitable, isn’t it? The theme has a clean code, which will help you to improve the speed of your website. Furthermore, there is also a search engine optimization, so, you have much more chances to appear on the top of search results. Combine these factors with a great documentation and you’ll get a WordPress theme of your dreams. 🙂 Despite the fact that this theme has a lot of modern features, it is really easy to use it. The thing is that the theme comes with a drag & drop Page builder and a WordPress Live Customizer. So, it will take you no effort to customize the theme. In addition, the theme was crafted with care, which means that clients will enjoy a sleek and stylish design of your site. 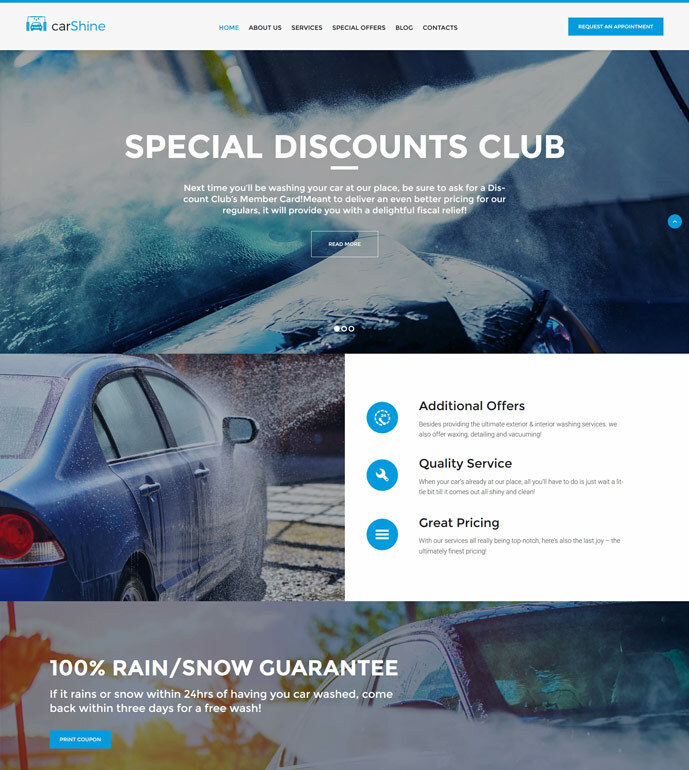 Nevertheless, this car wash WordPress theme has a GPL license. It allows you to use this theme for multiple projects. Looking for a theme to stand out with a car wash services? Take advantage of this GPL WordPress theme that was crafted with care to highlight your business. As for the GPL license, it allows you to use the theme for various projects. The main thing is that there is no need to pay extra! As for the theme itself, there are a lot of great tools and options that will help you to enrich the website’s functionality. Here you also have an Appointment Manager, which allows clients to book an appointment directly on your site. Moreover, this WordPress theme comes with a mobile-friendly design. So, customers have an opportunity to check your site, services, and to book an appointment using even their smartphones. 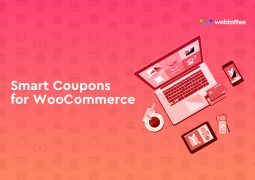 Multishop is a premium WooCommerce theme that was created to spice up your online store. Whatever your business is, this theme is a great solution for all purposes. 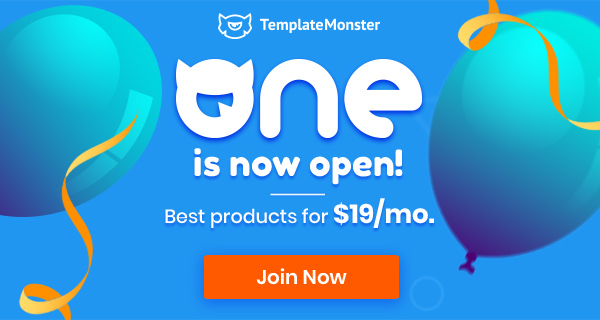 The theme is fully customizable, so, you can easily create a unique website. 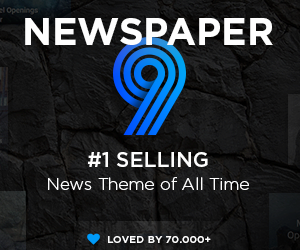 To say more, a modern Page Builder will help you to customize the theme with not much effort. Thanks to this feature there is no need to touch a single line of a code while carrying this theme. One more tool that will help you to create a one-of-a-kind site is a Theme Color Switcher. It allows you to emphasize the content and the whole website in general. Keeping all the facts in mind, we can see that this multipurpose WooCommerce theme is a must-have to improve your online store. 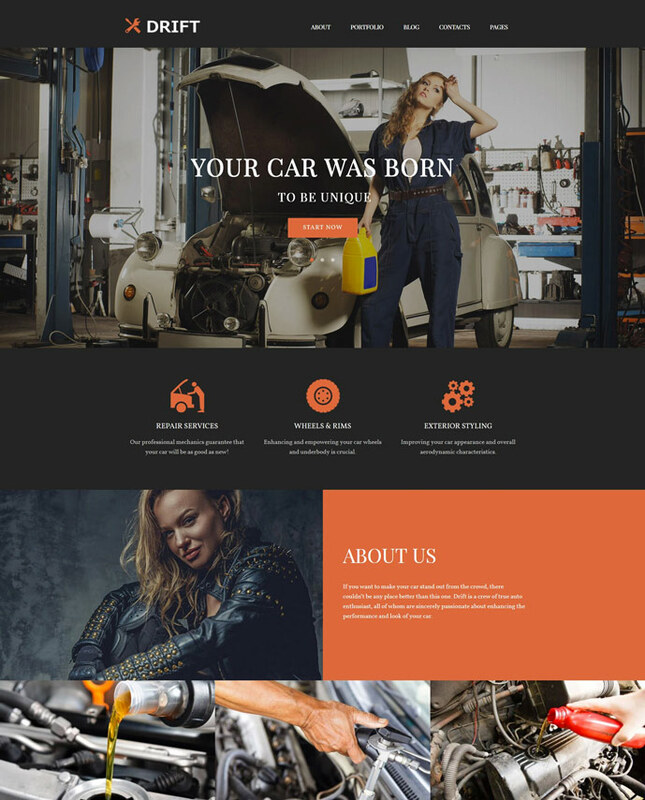 CityMotors is a clean-coded WordPress theme that will help you to represent your towing services to the whole web world. There is also a clean design with a wide range of CTA buttons. It allows you to increase the conversion rate and get more potential customers. To say more, the theme is fully responsive, thus, customers can ask for your services using PCs, tablets, and even mobile phones. 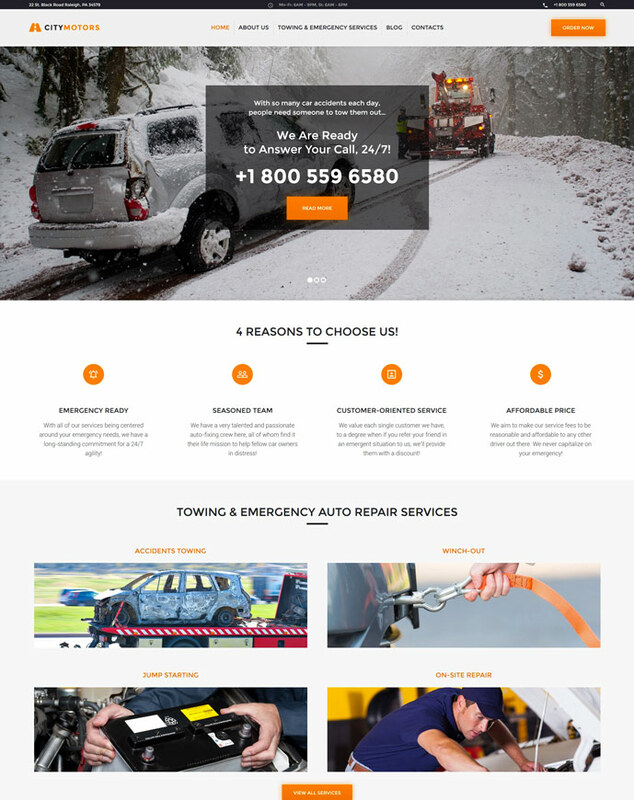 In addition, this auto towing company WordPress theme has an SEO-friendly nature. This feature allows you to get the first places in the search results. By the way, if there are any questions or issues concerning the theme, there is a 24/7 lifetime support. Thus, no worries, we got your back! Drift is a good-looking WordPress theme for auto-tuning services. You can choose from various layout options to create a wonderful look of your pages. Every part of this theme is trying guide on how to capture the audience and make your site convert. In fact, there are a lot of Google fonts that will help you to emphasize the content and to create a unique look of your website. Feel free to showcase the best projects, the most popular services, whatever, in an eye-catchy portfolio. It will help you to highlight your skills in a professional manner. By the way, this theme is pre-loaded with additional pages. Thus, you can easily describe your company to the fullest extent. 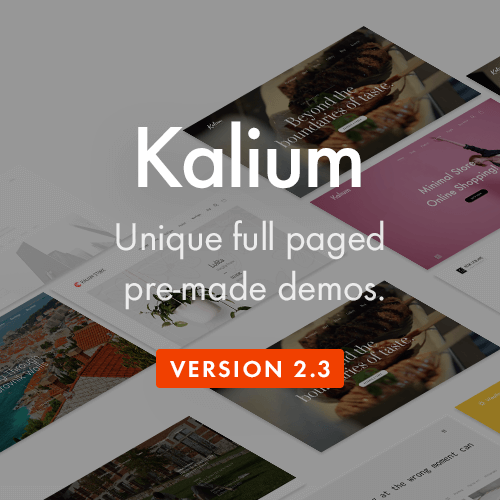 Take a closer look at this theme in a demo regime to check all its beauty and functionality. Need a good-looking solution for your auto tuning company? 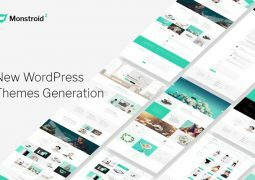 Let your business grow using this modern and high-functional WordPress theme. It was crafted just for your purposes, so, here you have a great design and all necessary tools to ruin all the competitors. Each element of this theme was carefully crafted to let your clients enjoy a sleek and up-to-date design. Talking about the functionality, there are a lot of custom widgets that allow you add more functionality of your site. Therefore, customers will be impressed while surfing your website. Did somebody say about the responsiveness? Well, this theme has a mobile-friendly design, so, clients can enjoy your top-class site no matter what device they use. 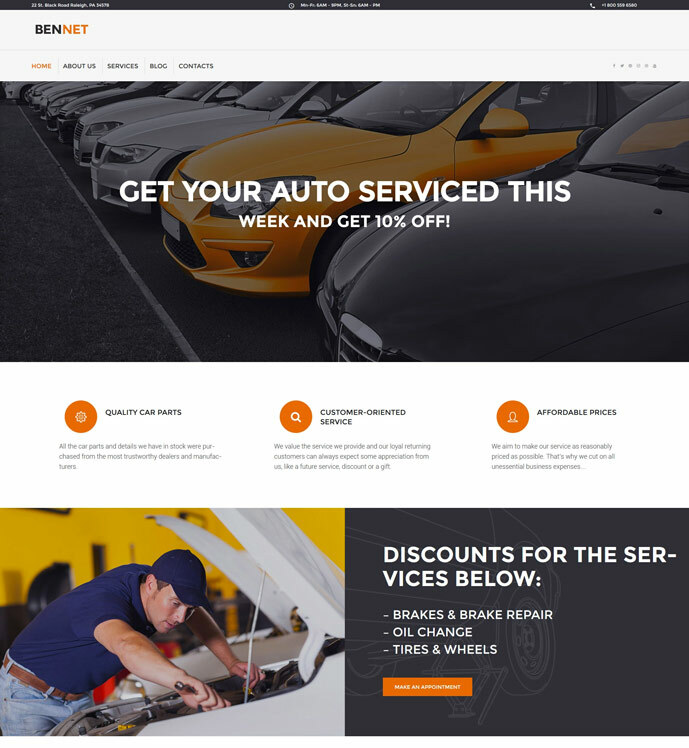 Bennet is an easy-to-use WordPress theme for Car repair service with a user-friendly nature. You don’t have to be a programmer or coder to carry this theme. Thanks to a top-class drag & drop Page builder everything gets so simple. Furthermore, it allows you to take advantage of the huge library of presets and over 25 modules. To say more, Bennet comes with an easy-to-understand documentation, which will help you to set up the theme in the twinkle of an eye. Still, worry about the search engine? Using this theme you’ll forget these fears! Bennet is that type of themes that comes with a great SEO optimization and a clean code. It will double, if not triple your chances to appear on the top of search results. 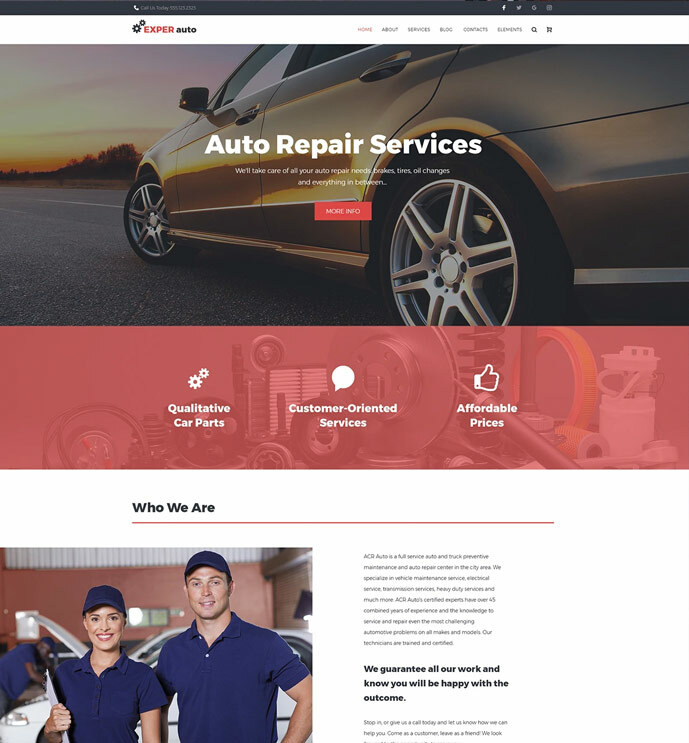 ExpertAuto is exactly that WordPress theme that allows you to create a professional car repair services website. There are an SEO-friendly nature and a valid semantic code, which will help you to promote your site as a pro. In addition, a wide range of Cherry plugins allows you to increase the functional range of site, and to add more useful options that customers will like. Let your clients know more about your company and services thanks to a Cherry services plugins. By the way, here you also have a Google map that will show your actual location. Meanwhile, customers can always reach you with any question thanks to a contact form. In fact, if you would like to use this theme for two or more projects, we have good news for you. This theme has a GPL license that allows you to take advantage of the theme multiple times. With this theme dreams come true right now! Logistic is a Transportation and Logistics WordPress Theme pretty popular and profitable business at any times. 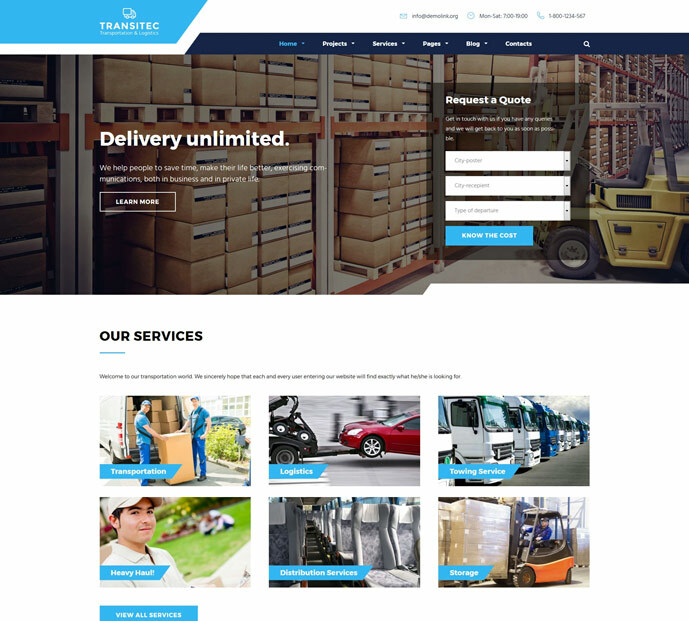 So, if you own such a company, we would recommend you Transitec – premium WordPress theme that will highlight your biz at a glance. Its clean design will help you to emphasize the services and the company in general. There is a rich choice of additional pages, so, feel free to insert more info about your logistics firm. Moreover, you can showcase top projects and services using Cherry projects plugin. Would like to offer clients some additional products? We have a solution for you! The thing is that Transitec comes with an Ecwid Ready nature that allows you to add an online store for free in 5 minutes. Thus, you can increase the income by means of a few clicks. In fact, modern website templates give us an opportunity to create a professional site without losing much time and money. They are pre-loaded with all the necessary functionality and allow us to use it with no need to have programming knowledge. Thus, it is one of the best ways to stand out with your business these days. So, if you would like to spice up your entrepreneurship, these 15 best automotive WordPress themes are at your disposal. By the way, how do you like this showcase? What theme fits your business the most? We always happy to hear from you, thus, feel free to share your comments in the section below. Good luck to you!